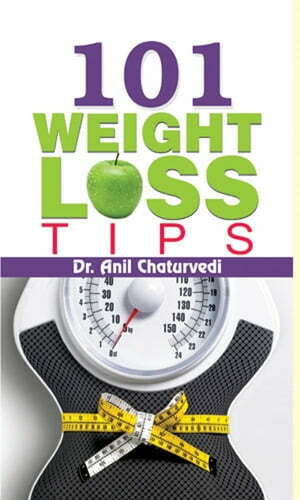 Collins Booksellers - 101 Weight Loss Tips by Dr. Anil Chaturvedi, 9789351866077. Buy this book online. “If eating less is a punishment, eating more is surely a crime.”Dr. Anil Chaturvedi has succinctly put his thoughts in these words. One is constantly warned that excess of everything is bad: especially eating. Since the last 10-15 years, the lifestyle of people has changed drastically. It is fraught with mental tension and sedentary life, which completely rules out time for physical exercise or any physical activity that could help burn calories and mitigate health problems.The author of this book has penned down, after great research, some measures which can reduce fat and help one maintain good health. In addition, he has explained in detail the causes and resultant effects of obesity. These have been carried out based on various components of health. He has given information regarding BMI, proteins, carbohydrates, caloric value of food and how to calculate them. Besides this, he has given schedule of controlled diets also.A practical handbook for losing weight and be healthy.